Thinking about Buying a Manufactured Home? I'm thinking about buying a manufactured home. Trust a Broker that is a lender too. In park and land owned mobile homes and manufactured homes provide the best affordable home ownership opportunity in California, but it's a misunderstood market. Buyers are attracted to manufactured homes for very different reasons. The one thing buyers already know is that manufactured housing can be a good a value but don't know where to get started. Many also know there is a difference between land lease and land owned manufactured homes, but that's where the understanding stops for most. That's where we come in. Thousands of home owners across California own homes in a land lease community or mobile home park. Home owners pay a monthly land lease (space rent) to the park owner. The monthly fee varies from park to park and city. Many cities have rent control ordinances or rent stabilization agreements that affect long term home values. California mobile home parks are full and there is always a strong demand for good housing values in California. Purchasing a home in a land lease park requires park approval. Financing is readily available for home buyers with as little as 5% down payment. Buyers requiring financing must be pre-approved to be successful. Manufactured homes in land owned communities provide outstanding long term manufactured home value at far less cost than site built homes. Land owned communities are structured as planned unit developments, condominium communities and cooperatives. All are slightly different in type and available financing. Conventional, FHA, VA and Non-Conforming loan programs are available. Land lease purchases are by portfolio lenders. Land owned purchases will typically be by secondary market lenders. These are just a few of the differences. 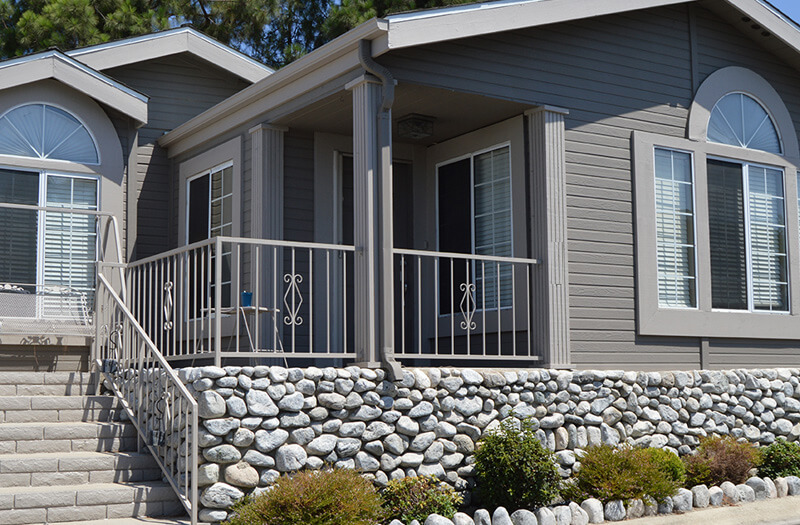 To learn more about the best type of manufactured home ownership for you, Call us at 760-593-4200 Today!